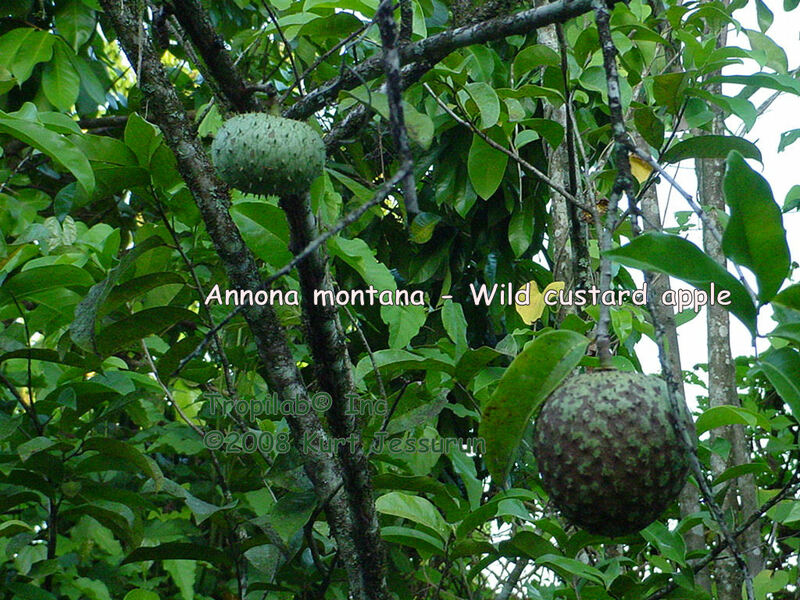 ANNONA MONTANA - WILD CUSTARD APPLE. Mountain soursop, wild custard apple, guanabana de monte, corosselier batard, wild soursop, boszuurzak, guanabana de perro. 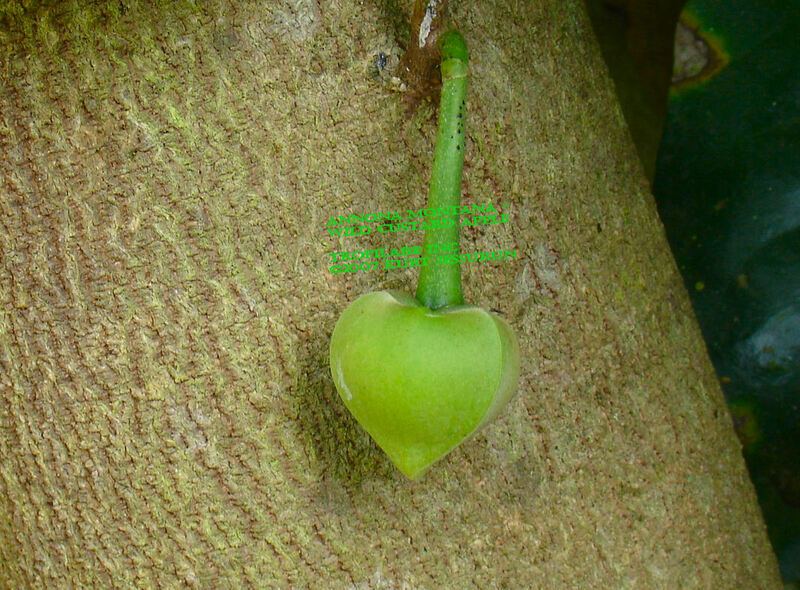 Wild custard apple is a small evergreen tree indigenous to Surinam growing up to 30' tall. It has glossy leaves and the nearly round fruit is spherical with a yellowish skin; it is covered with prickles. 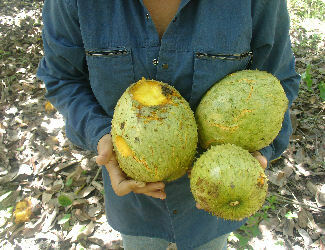 The aromatic, yellow fibrous pulp resembles the taste of Soursop (Graviola) and contains light brown seeds. Infusion of leaves is used to alleviate pain during pregnancy. The leaves and bark have anticancer properties. Full sun / light shade. Sandy clay soil but grows also well or dry soils.